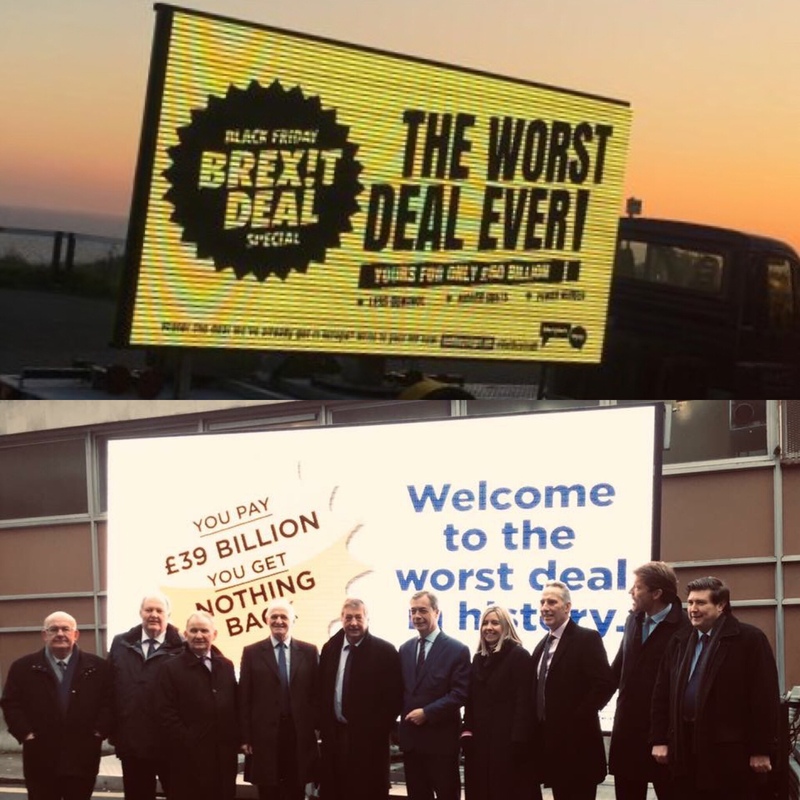 The two groups at either extreme of the debate on Brexit can agree on one thing: they both think Theresa May’s deal is a terrible one. Leave Means Leave and People’s Vote have both released campaigns this week which are uncannily similar; both use the language and iconography of retail discounts as creative vehicles to make their feelings on the deal known. As well as running posters, People’s Vote opened a Brexit-themed newsagent to highlight inflation caused by uncertainty over the UK’s negotiations with the European Union. I blame Cameron . Why did he run away ?Someone said OE are prone to do that! to be done en masse like the French.